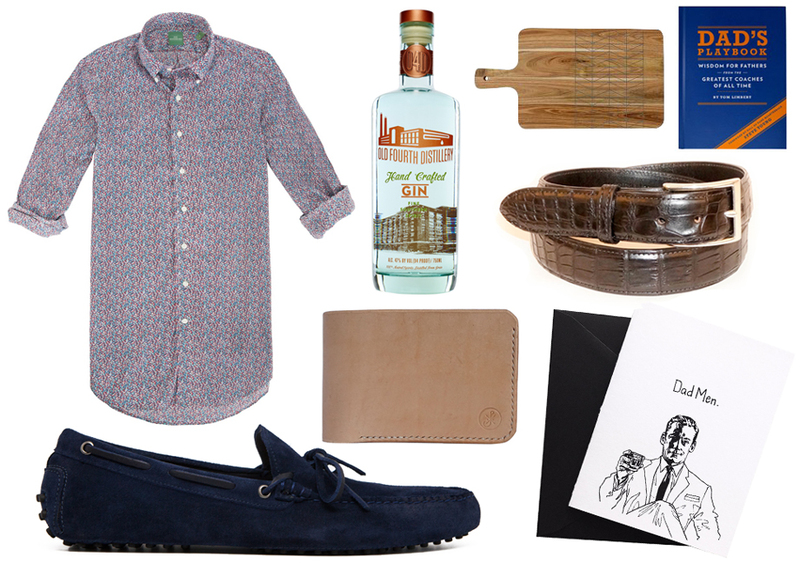 This Sunday is Father’s Day, and plenty of Atlanta makers and shop owners offer slick duds for just about any Dad. Just think—shopping local might even be faster than Amazon Prime. Floral button-down shirt, $145, Sid Mashburn, Westside Provisions District. If your dad’s wardrobe is filled with plaid shirts, why not update his look with a sport shirt in this fun Liberty print? Old Fourth Distillery gin, $29.99, H&F Bottle Shop, Peachtree Battle Shopping Center. If he’s always ordering G&T’s, make his liquor shelf a little more local with gin from Old Fourth Distillery . Cutting board, $28, Dear Keaton. For the dad that cooks, this cutting board adds a little jazz to his grill game. Dad’s Playbook, $12.95, The Merchant, Krog Street Market. Filled with fatherly advice from famous coaches, this book might come in handy for the new dad in your life. Alligator belt, $500, Blair’s Belts. Classic and versatile, it can go from the office to the golf course. Card by Lindsay Ryden, $5, Citizen Supply, Ponce City Market. Instead of getting him a Hallmark card, go for something clever by local illustrator Lindsay Ryden. Flordeliza bi-fold wallet, $80, Citizen Supply, Ponce City Market. Carl Caballes makes all of his leather products locally in his East Atlanta shop—and these wallets are made to last. Suede drivers, $195, Cobbler Union, 312 North Highland Avenue. A pair of locally made navy drivers is perfect for the dad that travels—or just likes to feel luxurious at home.